Prolight Rhino 4ft Pro Disco Stand Twin Bar (Stan12A) is the perfect all-in-one stand for the mobile DJ. 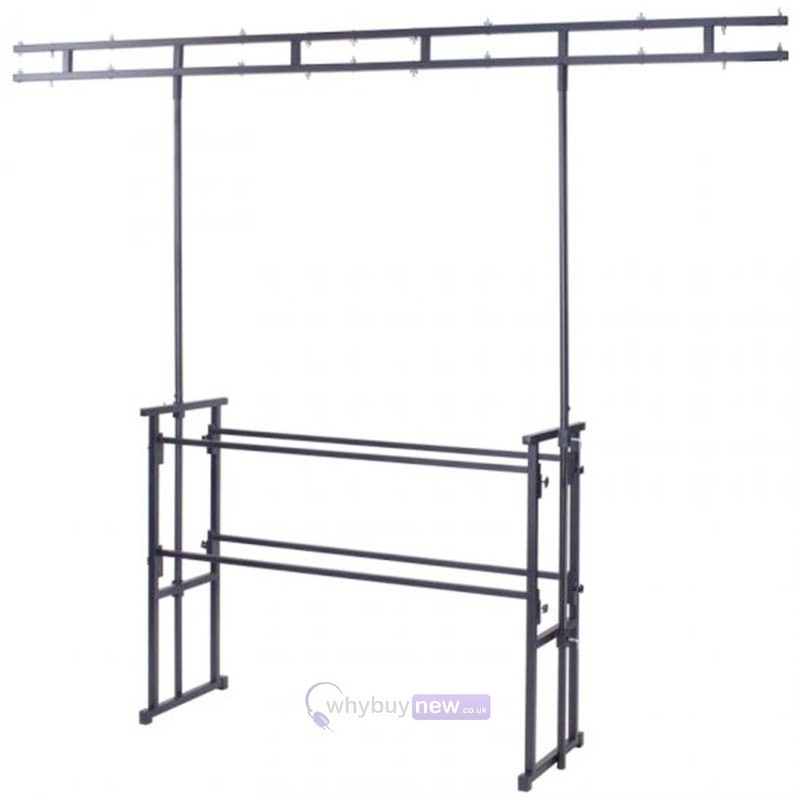 This 4' (120cm) disco stand is sturdy enough to support your whole mobile rig yet can be built and taken down in minutes which is perfect for those gigs where you are given a very narrow setup window. The top shelf of the stand is primarily designed to fit flightcased CD decks/turntables/mixer etc but you can also purchase a carpeted shelf for the stand giving you plenty of versatility and almost limitless setup combinations. The second shelf is ideal for your other DJ essentials such as amplifiers, processors, lighting controllers and even cases of CDs. 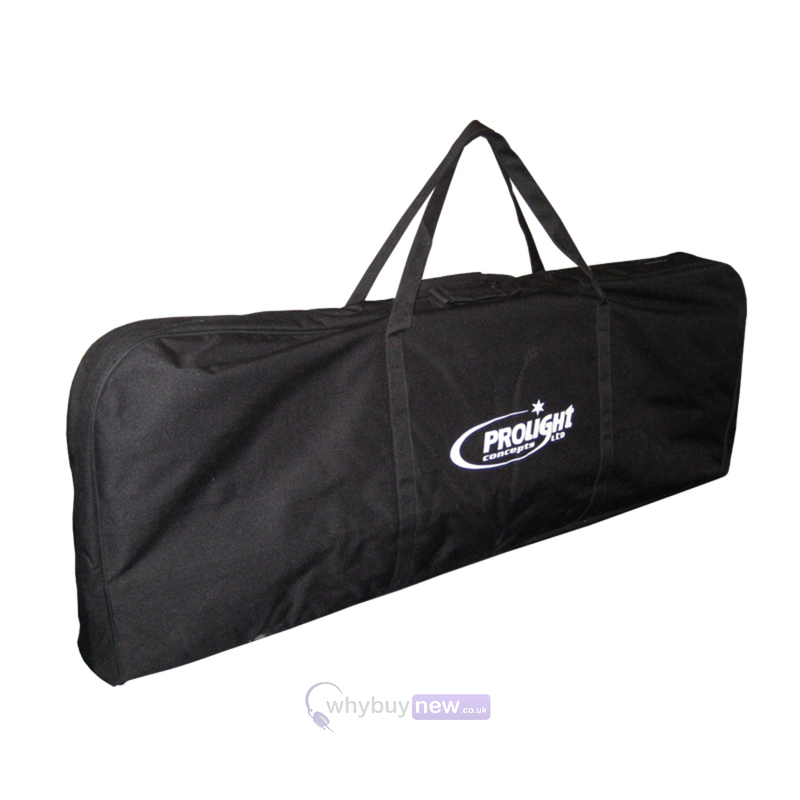 The twin crossbar is height-adjustable, sturdy and quick-and-easy to erect, it has pre-drilled holes for all your lighting effects but is also suitable for use with various types of lighting clamps. Thanks to its twin-bar design, the Rhino Stan12A 4 foot disco stand can support upto 60kg (3 times that of the single-bar model) meaning that effects such as professional scanners, centre pieces and even moving heads can be securely attached. 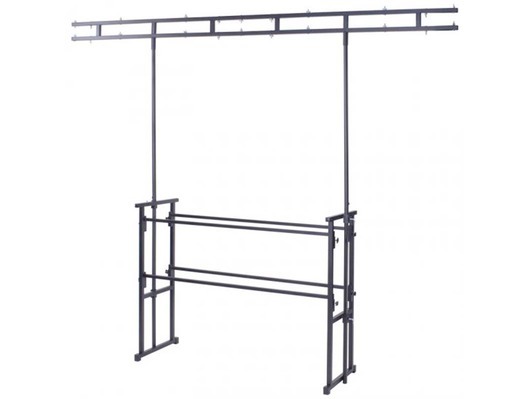 Here we have the best selling Rhino Stan12A 4-foot disco stand with twin lighting bar. Brand New or in B-Stock and complete with a 1 year warranty as standard. Buy the amazing Rhino Stan12A with confidence from the UK's largest Rhino dealer with 100% satisfaction guaranteed or your money back! Great stand holding loads of weight for lighting. I have 7 effects spread across the beam and it holds it with no issues. The bag is a little awkward to fit the stand back into and 1 of the 2 zips broke on second use, without me using any force! Maybe worth purchasing a bag to carry it all in! Deck stand is also sturdy and there is an option to increase the height of the light bar. Very happy with this purchase.